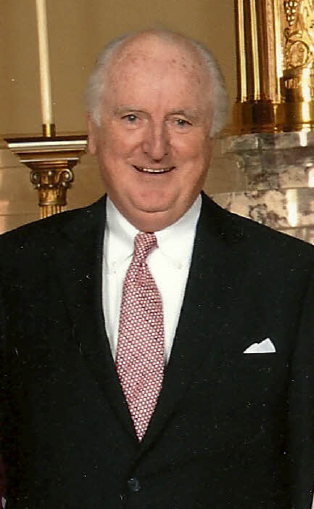 Patrick J. Murphy is Chairman of P.J. Murphy & Associates which he established in 1977. The Firm provides counsel on leadership and human resource issues for Boards and senior management of both profit and not-for-profit organizations. Dr. Murphy is also an Adjunct Professor in the Lubar School of Business at the University of Wisconsin - Milwaukee. Born and raised in Chicago, he holds an MBA and a Ph.D. from Marquette University. He began his career with Marquette University serving as Assistant Treasurer, and then progressed to the concurrent roles of Assistant Provost, Director of Governmental Relations, and Assistant Secretary to the Marquette University Board of Trustees. His Ph.D. is in the field of Educational Policy and Leadership with a focus on Organizational Behavior. His academic interests and experiences have focused on Leadership; Organizational Behavior; Board Governance; and Entrepreneurship. In addition to his current role with the Lubar School of Business, he has lectured at Marquette University, DePaul University in Chicago, and was a visiting Professor and presented a two week course on Organizational Behavior to Ph.D. students at ULBRA University in Porto Alegre, Brazil. At Marquette, he taught Marketing Research as an Adjunct Professor (for a period of four years) in the College of Business Administration. He serves on the Board of a Life Insurance Company with $1.3 billion in assets, and also a manufacturing company that makes distillation equipment for chemical processing. In addition, he has served on the Catholic Schools Commission for the Archdiocese of Milwaukee, and was a member of the Commission’s Executive Committee. He was recently appointed as one of two non-lawyer members to the U.S. Magistrate Judge Merit Selection Panel for the U.S. District Court for the Eastern District of Wisconsin. This is the third Merit Selection Panel on which he has served since his initial appointment in 2010. Dr. Murphy was a founding Director of PAVE (Partners Advancing Values in Education), and served on its Finance Committee. He is the Past President of the Rotary Club of Milwaukee; the Serra Club of Milwaukee; and was Chairman of the Board of St. Anthony’s Hospital in Milwaukee. In 1987, he was named Trustee of the Year by the Wisconsin Hospital Association for the State of Wisconsin, and received the Association’s Director’s Award.